I hope that you are all enjoying your summer! I am either hot or cold though when it comes to my Etsy shop. The sewing machine is either out for weeks or tucked away for months at a time. I am happy to say that the former has been the case this last week or so. Here are some of my creations. I like making these grain sack body pillows. You don't see them too often. And since each sack is unique they feel special. I love those with patches as feel very authentic and like they have a long history. 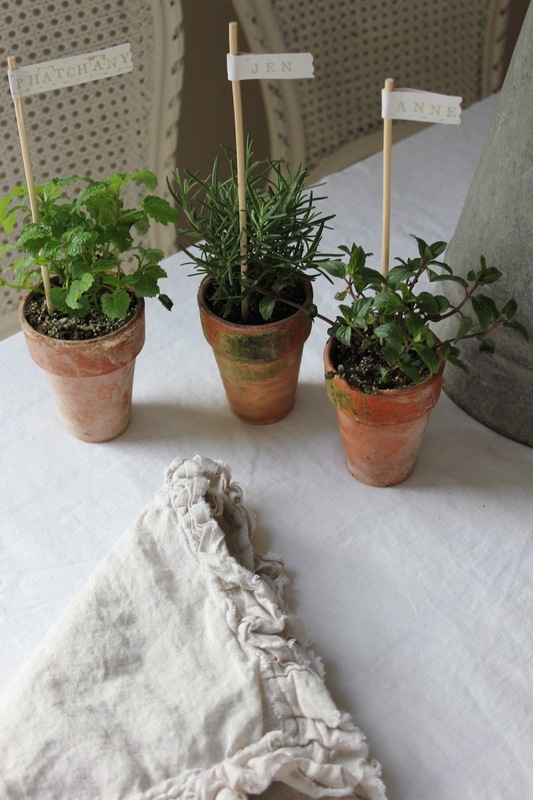 I also made some more of the Italian linen napkins. This fabric is special because it is a very fine weave and is imported from Rome. Enjoy your summer. Thanks for visiting. Gorgeous Michele!! You've been busy!! Hope your having a lovely summer and it was so nice to see your post! I don't know how I missed the napkins before! They will be a perfect and loved addition to our farm table! Already, I can't imagine a meal without them! They are beautiful. Love the delicate napkins. Your pillows are just gorgeous! It's nice to see you back! It's always fun to see the latest things you've made! 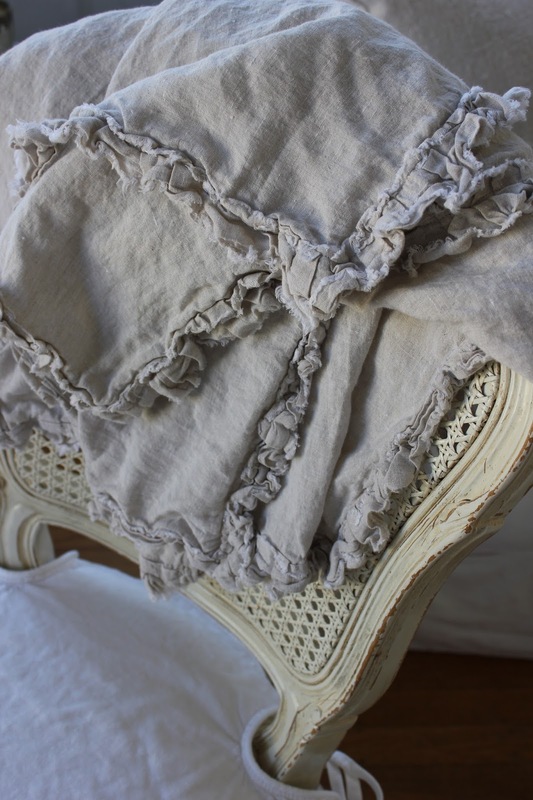 I love those ruffled napkins. I may have to purchase some from you soon. The ruffle is calling my name.